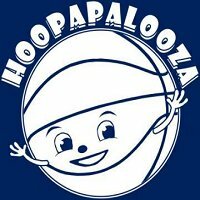 The SignUp Hub: Fundraising Idea: Hoopapalooza! Free -Throw Fundraising is a great way to earn fast, fun cash for your organization! At any designated HOME basketball game, invite spectators to take their "Best Shot" during half time for a small donation of $5, $10 or $20 dollars. You can split the proceeds with the winner like in a 50/50 raffle OR you can solicit a prize or monetary donation from a local business. Either way, the winner of the Free-Throw Contest and your organization both WIN!! If there are too many participants for half time…no problem! Most schools have a secondary gym to run preliminary rounds during the first and second quarters. Best to showcase only the top 10 Free Throw Finalists during half time. Bigger the Prize= More Sign Ups= Most $$$s (hint: get a local sponsor to dedicate prizes or cash each week. Small Community Businesses love to promote themselves as well)!